Apple recently unveiled its upcoming version of OS X, Mountain Lion. This announcement was quite surprising, as OS X Lion was released just 8 months ago, and only 3 updates have been published so far (current version is 10.7.3). However, the name Apple chose seems to indicate an improved version of 10.7 and not a major release. And the funniest part is that a Mountain Lion is also known as Cougar or… Panther ! For our earlier-switchers, Panther was the name of Mac OS X 10.3. 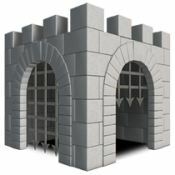 Gatekeeper in OS X Mountain Lion makes the Mac safer than ever. It helps protect you from downloading and running malicious software. It brings you new levels of security. And it puts you in control. The last option should be selected by default (at least in current Developper Release of 10.8). This is a pretty good choice for most users, as Apple will disable a Developper ID when a software is known as malicious. Some people may find it’s a bit strict, but you’ll be able to select another option, especially “Allow software downloaded from anywhere”. Here, at Jibapps, we find that it’s a fair solution, much more efficient than requesting sandboxing for every application. We regret that in a near future, some applications will be forced to quit the Mac App Store (because not compatible with Sandboxing) and we hope that Apple will change its mind (after all, they decided to delay Sandboxing a little bit, until June 2012). And don’t forget: sandboxed app doesn’t mean better-coded app!